As a brand ambassador for Graham & Brown, I received product in exchange for this post, but as always, all opinions are 100% mine. Hey, y'all! Happy Wallpaper Week! Did you know that's a thing? I didn't until recently, but I'm celebrating with Graham and Brown this week and sharing some wallpaper that inspires me. 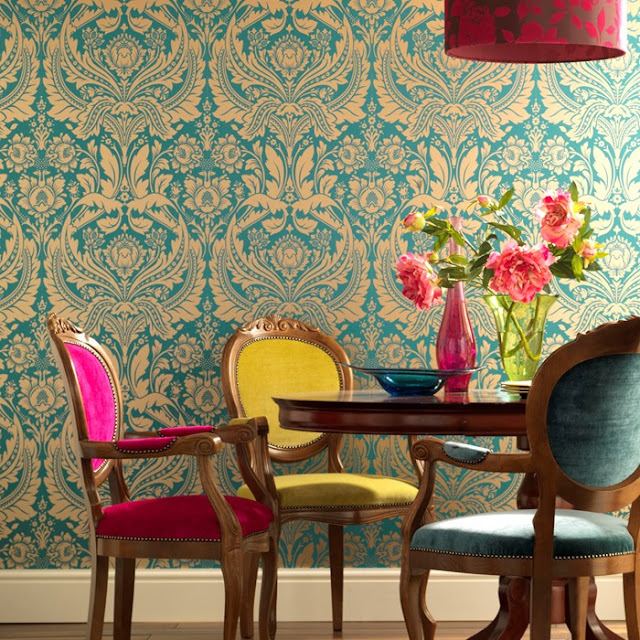 Desire Teal Damask Wallpaper Isn't everything about this so pretty?! I'm sure y'all know by now that I love color and pattern, so I love this wallpaper and all the chairs and accessories paired with it. The wallpaper looks great in this dining room, but it would look just as great on a focal wall in a living room, craft room or bedroom. 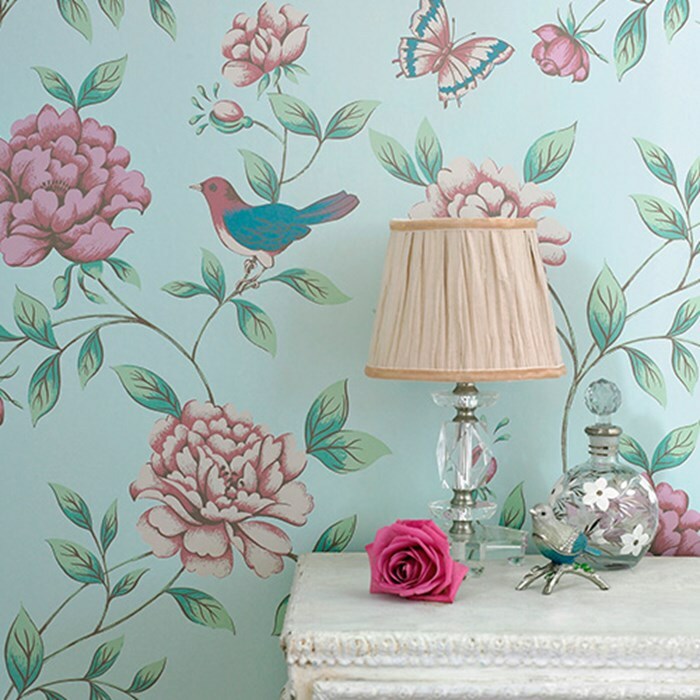 Isabelle Blue Wallpaper by Monsoon And how pretty is this wallpaper? Flowers are my jam, and I believe this wallpaper would look great above some white board and batten in a small powder room! 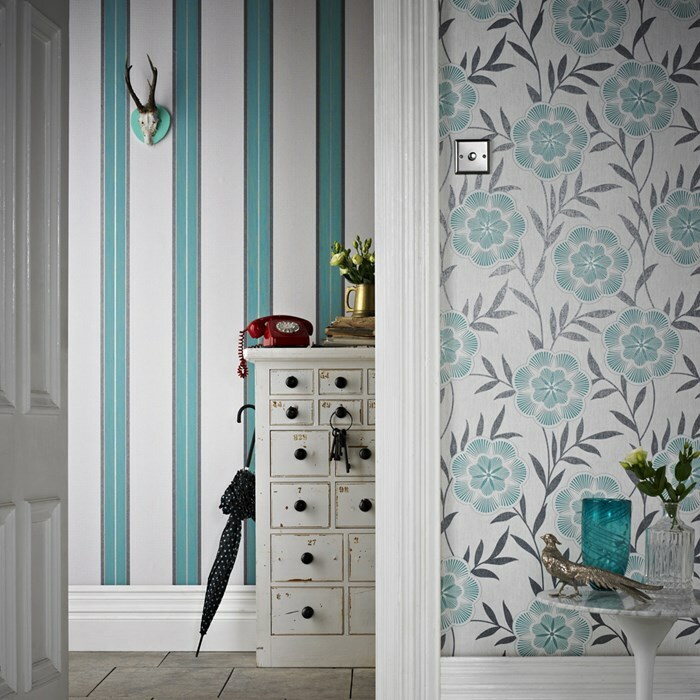 Harlow Teal Striped Wallpaper & Flora Teal Wallpaper And this wallpaper? Stunning! The striped teal is my favorite of the two, and it could go anywhere. And you know what? If you have total wallpaper terror from an awful experience like I had, you don't even have to put wallpaper on your walls. 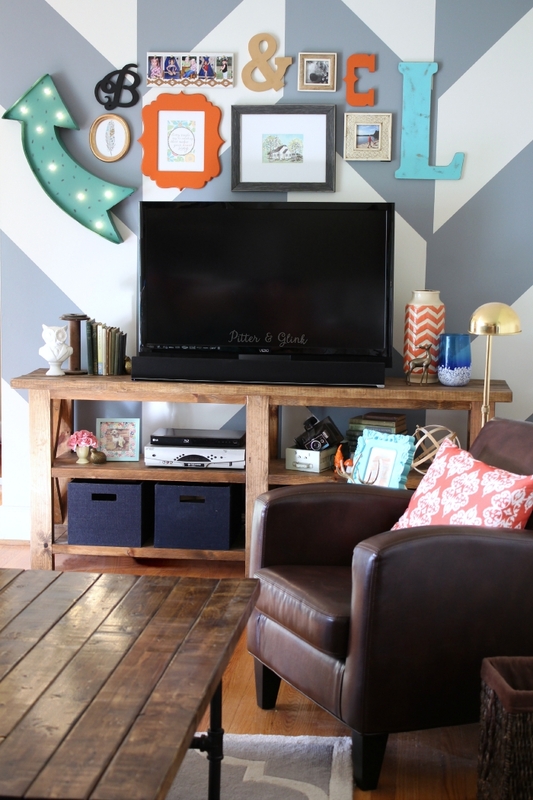 Use it to back a bookcase or nightstand. Line the inside of drawers on a dresser with wallpaper for an unexpected pop of color, or even use it to cover photo mats for some extra pattern on your walls. So how do you feel about wallpaper? 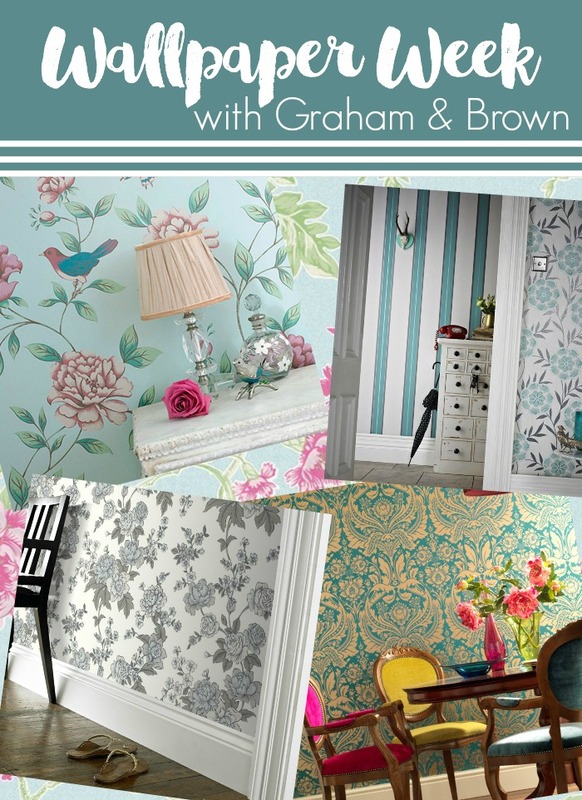 Let me know in the comments, and be sure to check out Graham and Brown for more beautiful wallpaper and home decor. I love Graham and Brown wallpaper even though I have not put up any since we've moved into this home. I had it in my old house and loved it but had to remove some of it to staged the house for selling. Like you, I swore I would never put wallpaper up again. But then I found Graham and Brown and love how modern their designs are. I visit the site every now and then, still on the fence about tackling wallpaper again. I think I might start small with adding a focal wall in the powder room or guest bathroom. I would definitely recommend Graham and Brown's site to anyone considering adding wallpaper.